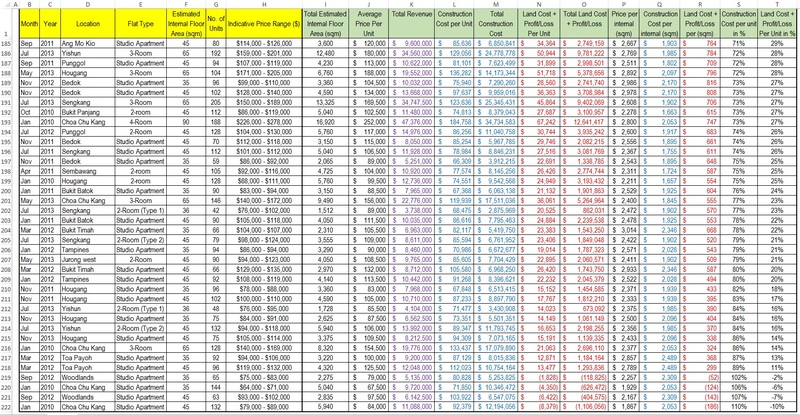 Analysis of the Price and Cost of HDB BTO flats. 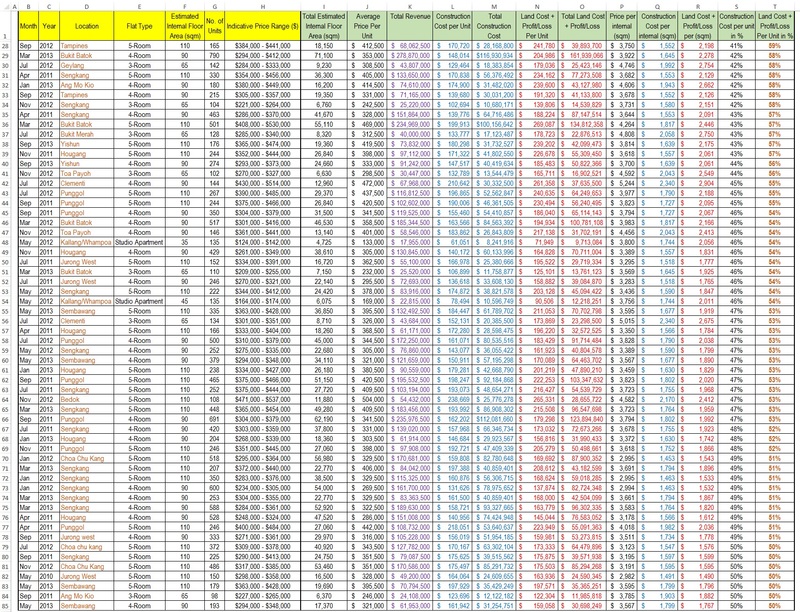 HDB BTO Flats Price – Cost Summary, Sorted by Land Cost + Profit/Loss Per Unit in %. 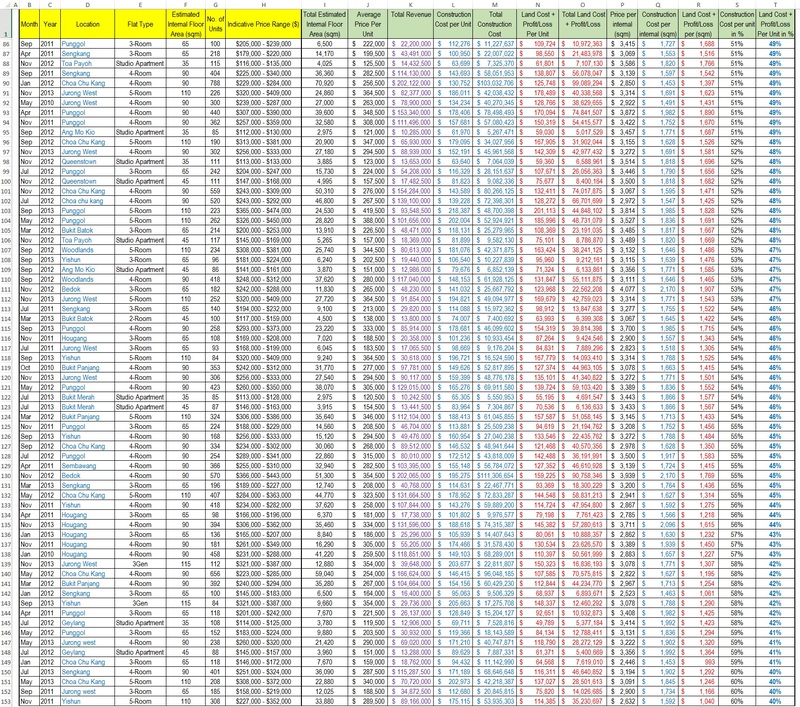 Columns with Yellow Headings – Data extracted from BTO Sales Launches. Columns with Green Headings – Derived Data.